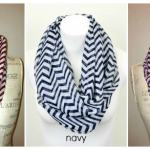 You are here: Home / online shopping / Metallic Accent Infinity Scarves only $7.98 shipped! 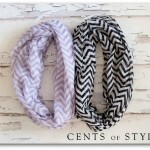 If you’re looking for cute scarves, check out this deal! 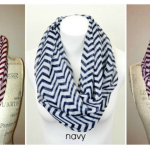 Get these Metallic Accent Infinity Scarves for just $7.98 shipped! 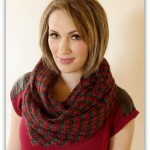 Choose from metallic polka dots, metallic stripes, or a metallic shimmer. 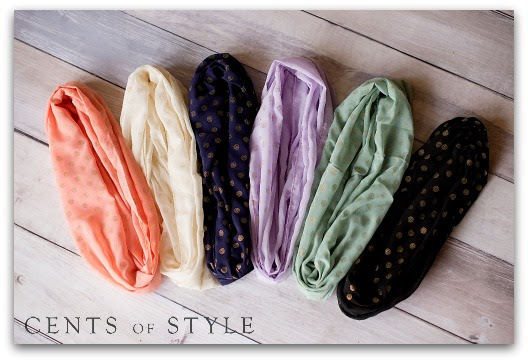 There are 12 different color combinations total! This offer is available today only, while supplies last. 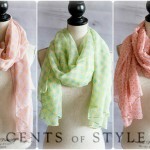 Easter Scarves and accessories only $5.95 shipped! 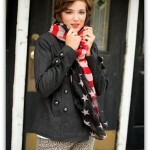 Patriotic Fall Scarf only $4.99 Shipped!